I can’t believe it’s already October! It’s my favorite month of the year. It’s birthday month for me and the Husband as well as time to break out the fall sweaters, decorations, and hot apple cider. Oktoberfest has also been in full swing since September 22. 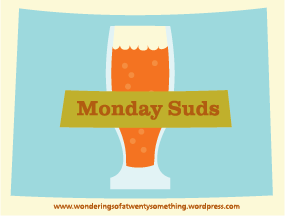 Longmont got on the bandwagon this weekend and all three breweries; Lefthand, Oskar Blues, and Pumphouse got involved. Lefthand was the official host of the event and they did an amazing job! Such a community event! We had an amazing time listening to some great music and watching some fun competition. 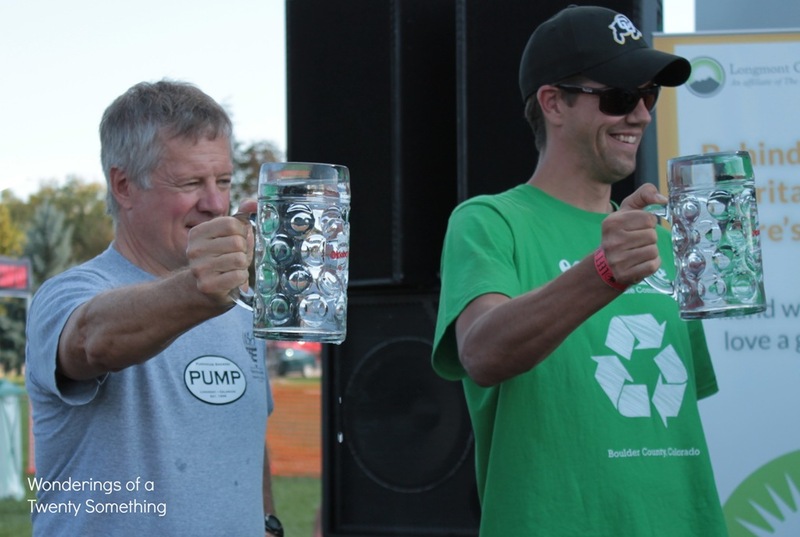 This was the Beer Stein holding contest and Mayor Coombs (the man on the left) was representing the city. He did a pretty good job but he didn’t take it home. Maybe next year, Mayor Coombs! 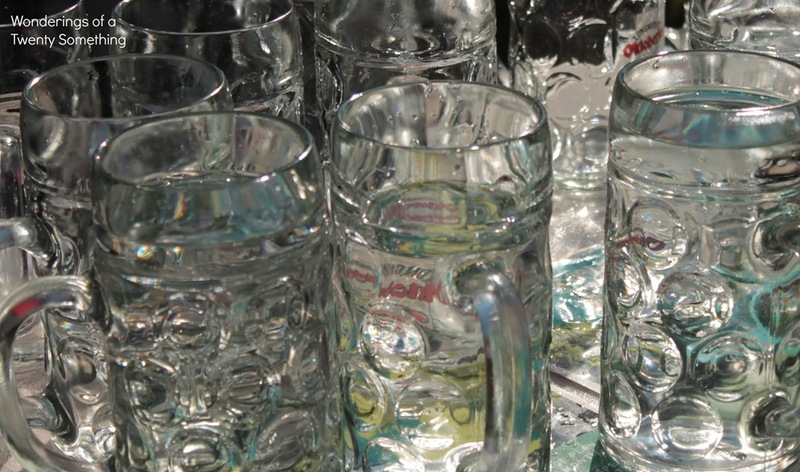 Thankfully, all of these gigantic steins were filled with water and beer. It would have been sad to see all of that beer hit the grass. We took home some smaller version of the steins for this years souvenirs. The volunteering was great. I was able to greet up at the front gate. It was definitely busy and I was so glad to see the festival going off successfully. It was nice to see so many great people and enjoy some great beer, brats, and pretzels. I wish I had pictures of the end of the night. The crowds were huge, the costume contest was amazing, and the last band, Squid, was incredible! We were worn out and enjoyed every minute! 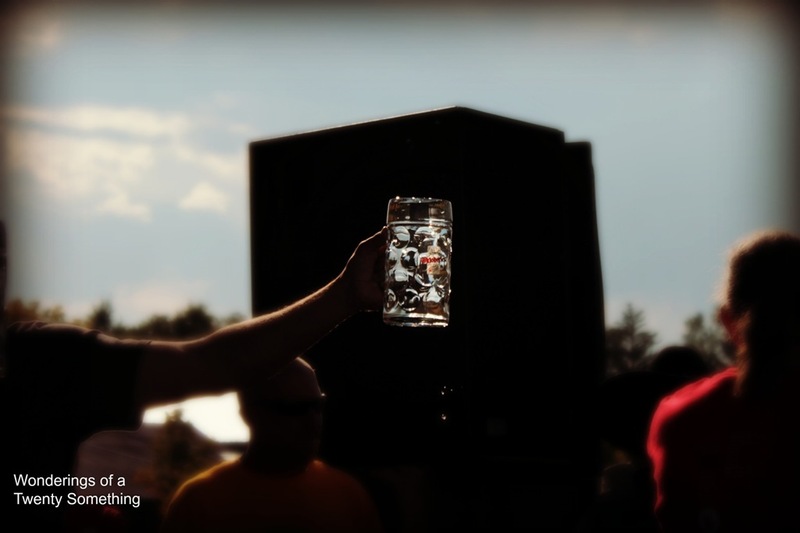 Oktoberfest still goes for a few more days, officially until October 7th, so what are you doing to celebrate? 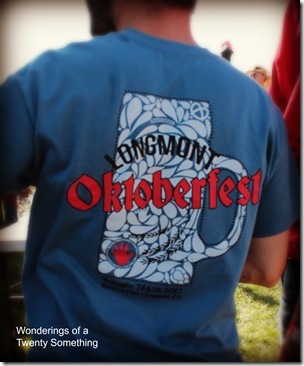 As we gear up for the 2015 #Oktoberfest, I thought I would share a little #tbt to the 2013 event!